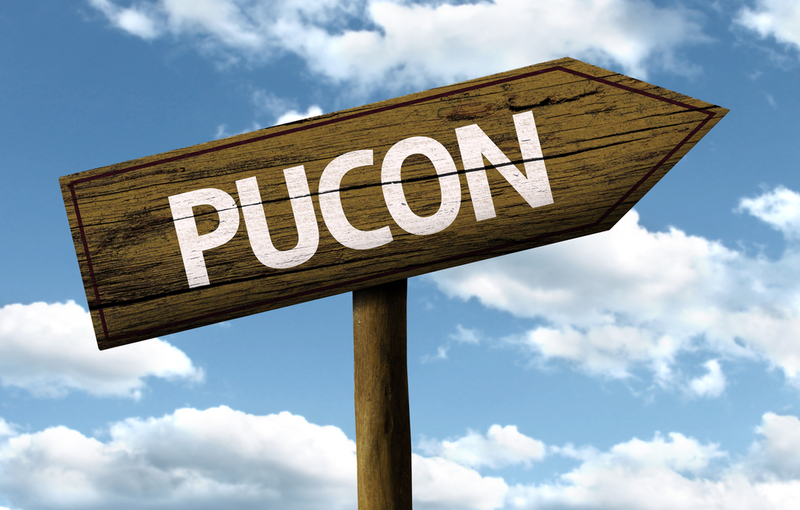 How to get to Pucón? Pucón has its own airport located near the town on the international road to Argentina, about 5kms from the town. There are several taxi companies that will take you to the airport, so flying from Santiago is a quick journey. You can also fly to the Maquehue Airport in Temuco, located approximately 7 kms. from the Temuco city centre. There are intercity minivans connecting you directly from the airport to Pucón. Every night there is a train from Santiago to Temuco, which has three separate classes for travelling. From Temuco to Pucón there are several buses during the day, easily taken from the main Bus Terminal. There are three principal ways you can get to Pucón by car. From the north, using the Pan-American Highway, you can come directly from Santiago, Concepción, and Temuco. At Freire you need to turn off to Villarica and then continue to Pucón along the lakeside road. From the south you can take the same highway from Puerto Montt, Valdivia, passing through Loncoche, and turning off when you arrive at Freire as mentioned before. Coming from the north or south the roads are in good conditions. The distance from Santiago to Pucón should take about 10 hours.